Today’s conversation is one that should give anyone considering Amazon private label sales hope that they can be successful. Jarret Colton is a guy who went to Scott’s LIVE event in 2016 with his head spinning. He’d listened to almost every TAS podcast episode and knew a lot of information, but it was all a grable in his head. 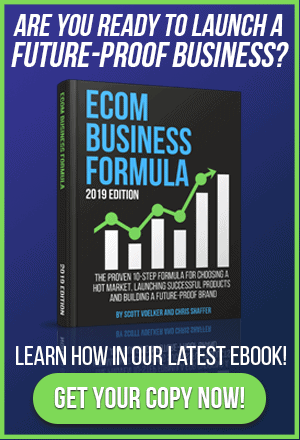 Once he was able to talk with other sellers who had seen success and glean a lot of tips from the speakers at the event, he took action – and that action translated into incredible sales. You can hear how Jarret did it, on this episode. We sometimes overthink these things and need to go back to basics. Jarret is an example of a person who got his head crammed full of information and began to overthink things. There are too many things you CAN do to attempt to make your private label products sell, but there are not a lot of things you SHOULD do at first. 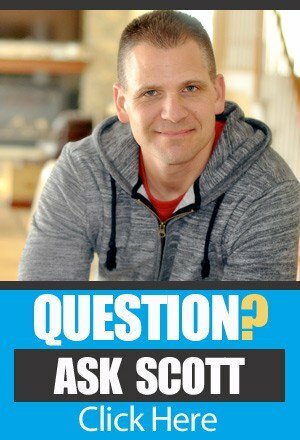 So the back to basics mindset that Scott talks about on this episode is the prescription for many people. Be sure to listen to Jarret’s story so you can be inspired by what’s happened in his business – and get some ideas about what you can do to move your sales forward. Every person who has placed a product on the Amazon sales platform has a next move that they need to take. It doesn’t matter if you’re selling lots of products or very few. You have something you can do to move your product sales forward. On this episode you’ll hear how Jarret made the decision to shut off all the noise and information that was clogging up his mind and simplified his process so he could simply do the next thing. You may be in the same place Jarret was – so be sure to hear how he got himself taking action on the right things. The power of professional product photos. One of the most important things that Jarret and his wife decided to invest in was professional photos for their product. He knew that once a person searches for his products he had to have some way to catch their eye and get them to click on his listing instead of the listing from his competition. The photos were exactly what did it for him. You can hear how Jarret found his photographer, the difference the professional photos made, and how he uses them within his listing, on this episode. 4 of his main products appear on page 1. Wow. 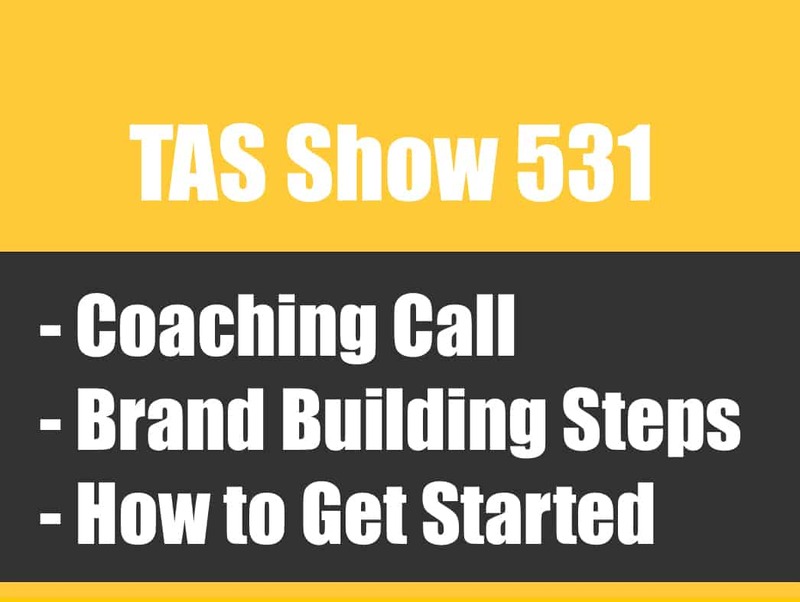 After applying the tips and strategies that he learned at the TAS LIVE Breakthrough event, Jarret was able to increase the search ranking of his product listings. In fact, he was so successful at optimizing his listing that he’s now got 4 out of 6 of his main “parent” products showing on page 1 for their primary keyword. You should take the time to hear Jarret’s story. It’s inspiring and instructional for anyone who’s looking to rank their listing higher and get more product sales. [0:03] Scott’s introduction to his next guest, Jarret Colton. [3:12] Jarret’s experience before jumping into Scott’s live event. [8:14] Why Jarret attended Scott’s live event in Denver in 2015. [11:35] The mess Jarret was facing with all the products his wife ordered. [14:12] Where Jarret found the photographer for his product images. [15:30] Jarret’s game plan and what actually happened. [17:11] Spending time figuring how to solve people’s problems. [19:57] Jarret’s beginning goals and the competition he was facing. [25:23] Jarret did not conduct any giveaways. [34:10] The next steps for Jarret and his wife in the business. [37:40] Why Jarret wants everyone interested in private label to take action. …not really sure where he was heading. He kind of had an idea but he was very, very confused, little overwhelmed and today I want to give you an update and he’s going to give you that update on how he’s now rated around the $20,000 per month mark and pretty excited about it. He’s going to share exactly where he was and where he is now and how he got there and some of the struggles and the obstacles and I mean, let’s face it, some of the mind shift stuff too. We sometimes over think some of these things, I’m guilty of it. Sometimes you just think a little bit too much and sometimes you just got to take one step further. I really think that from listening to this interview, you’re going to see that. That we can get all this information, we can get overwhelmed but then we have to move back to basics and sometimes it’s just being reminded of that, really excited to share this interview with you. Did want to remind you that if you wanted to read the transcripts to this full interview, you can head over to theamazingseller.com/252, that’s episode 252 and you can see the show notes there, the transcripts, you can download those if you prefer and the links that we discuss will be in there as well. I’d also like to remind you that if you’re interested at all in attending one of our upcoming live events, head over to theamazingseller.com/live and you can number one, see one of our last events kind of like some of the highlights but then you can also register for notifications on when we do another upcoming live event, which will be soon by the way. Definitely go check that out and it is very limited as far as how many people can attend so if you’re interested at all, definitely go check that out and do a pre-registration there as far as get on the list. [00:02:00] Scott: That can be found at theamazingseller.com/live. All right, so let us jump in to it. Let’s listen to this awesome amazing interview that I did with Jared Colton. [00:02:17] Scott: Hey Jared, what’s up man? Thank you so much for coming to the podcast, what’s happening man? [00:02:23] Jared: How are you Scott? I’m super psyched to be on. [00:02:26] Scott: I’m excited to have you on man. It’s been a little while since we actually met in person and that was in Denver at our TAS Breakthrough Live and yeah, it was awesome, we had a great time but you’ve had some things happen since then and that’s what I really want to dig into. You’re pretty excited about what’s been going on huh? [00:02:45] Jared: I mean it’s unbelievable. It’s actually funny. I walked into the event sort of my head spinning in 15 different directions and a little bit nervous about what was going to happen. Since then, things have been, for me, they’ve been amazing. I think the results that we’ve gotten in the past, I don’t know, it’s been about 7, 8 weeks since we launched really exceeded our expectations. [00:03:10] Scott: That is awesome. Let me ask you though, give me a little bit of a background before you came to the event. What were you doing and what were you dabbling in? I know you told me a little bit in an email you wrote me a little bit about eBay, just give us a little bit of a back story as far as what you’ve been dabbling in and lead us up to you wanting to go to the event and then what you were expecting to happen. [00:03:40] Jared: Okay, eBay, goodness that was a long time ago. I actually started selling on eBay back in ’97, ’98, now I’m dating myself. [00:03:50] Scott: Hey, I was there too man. [00:03:52] Jared: It was amazing because first of all no one I even knew, knew what eBay was. It was really new but I used to go door to door in my town to different stores that sold everything from clothing to tennis rackets and literally just ask them after they were done with their sale if they would just sell me the products at 80, 90% off and a lot of people did. It was a good experience for me. I ended up selling a ton of stuff, paid of my college loans within 48 months of graduating. Yeah, it was really awesome plus I was 23 years old with tons of money so it was a lot of fun also. [00:04:33] Scott: Yeah, that’s awesome. You basically went out and kind of did, not even necessarily like retail arb because some of the stuff was probably used too, right? [00:04:43] Jared: Well, none of it was used but basically what I would do is I would wait until the sale signs would go down in the stores. They would basically put all the rest of the junk in the back and I would go in and say, “Look, you had it on sale for 70 off, you didn’t sell it, how about I’ll pay 80 off?” A lot of people were very receptive to it. It was a lot of fun. [00:05:03] Scott: That’s awesome, so that was going back a little while but it was effective strategy and I think that strategy probably could even work today. [00:05:12] Jared: Yeah, it worked super well. I haven’t looked at eBay along time but I think that things have gotten a little bit more competitive obviously but yeah, it was… I remember Dom was on the podcast. I think he does similar things to that on a much grander scale. [00:05:30] Scott: He still does that today. [00:05:32] Scott: Yeah, but he’s got a team now and stuff and they get calls to them that say, “Hey, we noticed that you wanted to come in and buy this. We’ve got this closed out. This store’s going out of business.” Then he’ll get the call and he actually turned that into a brokerage where now he can say like say you were looking for a product, he can say, “Hey Jared, I got 100 of these tennis rackets. I can give them to you for 3 bucks a piece.” He might have paid 2 and he’s going to make a buck a piece. Again, there’s ton of different ways you can go out there and make a little bit of upfront money to get started. I get a lot of people that say, “How do I get started? How much do I need to get started?” You get started wherever you are. [00:06:17] Jared: So fast forward. [00:06:18] Scott: Yeah, let’s fast forward a little bit but you took some time off, you went to college, you got a job and all that stuff but what got you back interested in possibly getting into Amazon? [00:07:05] Jared: To be honest I hadn’t heard of you, I hadn’t heard of anybody else and we were incredibly naïve. She placed some large orders for some products and again we had no idea what we were doing with it. Luckily enough I think I Googled back in October how to sell on Amazon and you were the first thing that came up and that’s sort of how it started. Once I heard your podcast, I couldn’t get enough of it and I tried to go through the back catalog and spent all my time doing that and became what some people might say is obsessed. [00:07:43] Scott: I’ve been there. [00:07:44] Jared: Yeah and then it sort of took a life of its own after that. [00:07:49] Scott: Okay, at that point, you got some information, you’re kind of getting led through the process and all that stuff and then you heard that I was going to do that live event. You’re like, “That’d be cool. Let’s get there. It’s only going to be like 30 people because we’re going to keep it closed.” What were you hoping to take away because you still didn’t have the product launched at that time or were you in the process of launching. Where were you, I forget? [00:08:13] Jared: I had hoped to have it launched by then but it wasn’t up, we didn’t get the product in time. I got there, I have to be honest, I was so overwhelmed with listening to so many podcasts and trying to write notes on having a photoshoot, putting a website up, Facebook, Instagram, AWeber, LeadPages, looking for new products, trying to keep notes on everything, keeping it all straight. I sort of was a little bit blurry-eyed when I got to that event. My hope was that I was able to sort of get a little bit grounded and get back to center and it’s exactly what it did. I left that event and I literally shut off all podcasts. I stopped listening to everything and I just paid attention to the notes. That just became my bible, that plus some notes and I really just took it from there. [00:09:53] Jared: That’s exactly right. I can’t overemphasize that. Literally, I was able to sort of see very clearly the next few steps that I needed to take and I was able to completely put aside everything else and just focus at the task at hand. You mentioned Dom before, Dom was a very animated character when he was on your podcast, in person he’s even more. Dom was unbelievable. He was an amazing help, not only when he went up there and spoke about his business specifically but like you had said, late night conversations, late night with Dom, with Sean, with lots of other people were incredibly beneficial. [00:10:35] Scott: Again, I mean, like you said, the podcast didn’t do Dom any justice. He’s a character in himself. [00:10:42] Jared: He should be a cartoon character. [00:10:43] Scott: Yeah he should and Dom is listening, I’m sure he is and maybe his staff is even listening too because he said sometimes he plays it for the staff so, Dom, I think I just heard a name of a show there, Late night with Dom. [00:10:56] Scott: Dom’s going to love that. Dom is definitely getting some credit here. He was a great resource, his wife as well. I mean she’s a wealth of information. [00:11:05] Scott: Man, so yeah, great couple. Just being able to be surrounded with those people to me even it got me excited. It was funny I talked to Bill [inaudible 00:11:14] who was there as well. I talked to him just the other day, just briefly and he was like, “I’m still fired up from the event and I got things I still want to implement.” He’s still living on that high. I think that’s key, it’s getting the information but then acting on it and for you like you said, you had those notes but you have also things you could do moving forward that you haven’t even touched yet. Let’s kind of get to that point then. Your wife had ordered some product, was that the product that you were definitely going with then as well or did you now have something else in place? Where were you in that process and then once the event stopped, what did you do first? That was lesson number one, don’t start with over 40 SKUs. I definitely would not advise that especially keeping things in inventory and tracking that. That’s a barrier in itself. Left the event, one of the number one takeaways listening to all the people talk was high quality photos and how do you stand out. My wife’s great at this stuff. She organized a full day photoshoot with a photographer and multiple models, live models and props and literally she spent a good amount of money on that, not as much as you might think because I think if you’re careful you can cut cost but she did a great job and those pictures, if you’re scrolling, they stand out. They stand out really well and not only the main image but there is six images behind it, all relevant, all really good images. That was probably the number one take away, spend money on images because it’s definitely going to work with conversions. [00:13:45] Scott: Yeah, it’s perceived value all the way. If you see a picture that’s crappy, you’re going to think crappy product. If you see good pictures or the product being used and how it can, you can imagine how it’s going to be like to use that. [00:13:57] Jared: Well, that’s exactly right and honestly it’s about making it appear like we’re a real company. [00:14:03] Jared: We’re not some guy in a garage just making some products, we’re not much more than that but in any case I think perception is reality so the images were great. [00:14:13] Scott: That’s awesome. Where did you find the photographer? Was it someone online or was it someone locally? [00:14:17] Jared: You know, it was through a friend of a friend of a friend basically that someone knew a photographer and he had a small little studio space and it was… I remember walking in there thinking to myself, “Oh goodness, this is a lot more than I signed up for. Hopefully my wife is able to keep this in control.” It was a lot but I think it was definitely worth it. [00:14:39] Scott: Pictures are probably one of your number one investments as far as in the listing itself because like you said, if you get to page one, you got to still get people to click. That’s the key there and then once they do click you want them to see exactly what the product… We talked a little bit about this at the event. You can have like a picture showing what it’s like to not have the product and then you see happy face. Now, this is what it is with the product. Now, if you don’t have product that you can do comparison chart, that’s fine. You can still show it in a lifestyle picture of it being used and someone being happy because they’re using it right. It’s the same kind of idea. You can almost create that experience looking at it through the pictures which I think is huge. You got those done and everything so once you got ready to launch, let’s get to that point. You’ve obviously optimized your listing and done all of your homework there, what was your plan to launch? [00:15:38] Jared: I left that event thinking that I was going to follow the same strategy as everybody else. I was going to obviously optimize listing which it is. I was going to try to come up with a list of friends and family and then I was going to start running some promotions. What ended up happening is a little bit different. We put out a call to action on Facebook to friends and family and it was actually amazing. It got shared like 21 times and went all over the place and we got 200 people, we had set up a small landing page and we got about 200 people to sign up with email addresses and said they were interested. That was going to be the main way we started. We were going to drip it out to that list. Again, it’s interesting, something else Dom had said to me was because our products are semi related it really encourage people to buy multiple products from the beginning, which I can tell you I actually think that was probably the best advice I ever got because even today, it’s been almost two months, every one of the products still shows a bought with and all tons of the other products are listed below so that is definitely helping. That was awesome. [00:16:54] Scott: That’s good advice because like you said, if you can get in the frequently bought together, down below that just works. [00:17:02] Jared: It was like that from day one so that was really, really great. We did that and then the other thing that I really took away from the event was, “Find a way to solve somebody’s problem.” We really spent a lot of time trying to figure out how. I don’t think it was so apparent with the products that we’re selling but we did. We combed through listings and we found lots of different things and we really sort of spoke to that. Again, the listing was optimized and then… Just one funny little story. [00:19:02] Jared: Spoke to Sean and he sort of walked me through what it means to be in pending status and the fact that more than likely it wasn’t the competition. He was right and I have no idea how somebody found those products except to think that following the directions, the backend of those listings are really well optimized. If you would have searched for the keywords then, we wouldn’t have been shown up before page 145, legitimately. We spent the time doing it so I don’t know how they got found but anyway they did. [00:19:54] Scott: It’s exciting too that you’re like once I get inventory then this thing might blow up. Let me ask you this, what kind of competition are we talking about? What was your goal moving into this, were you like 10 a day, 20 a day, 30 a day? What’s your goal in mind? [00:20:12] Jared: I got to tell you, again my wife didn’t know anything about the 10 by 10 by 1. She didn’t know anything about that and when I first started going through your private label classroom and realized all that stuff I was like, “Oh god, I think we might have made a mistake.” The products are under $20 and… Actually, if you don’t count Amazon fees we are making $10 a day but after that we’re not obviously. You know what, in the start of it we didn’t actually have much of a goal. We were a little bit unprepared for what this actually meant. We obviously were just hoping to sell some product and to… My wife is a stay at home mom so she’s looking to have a second career so that’s what this was really for. We definitely are not selling 10 a day per style as of today but we are selling about 50, 55 units a day so that is probably more than what I thought we were going to sell at this point. 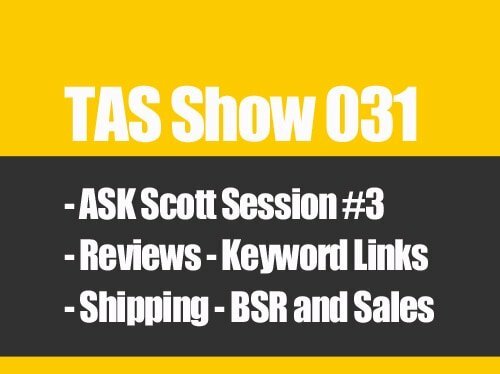 [00:21:20] Scott: Well, let’s kind of unpack that a little bit because you know, if you have one product but you have 4 different SKUs and you can sell, to me if you can get to your 10 units a day, whether it’s 3, 4, 3, to me that’s okay. It’s the same product in a sense but you have just different color variations off of it. You’re at like 40, 50 units a day with all of your SKUs. Dom would say the same thing. It’s like that’s how many you’re selling per day, that’s good. It doesn’t matter at that point because if you’re at the $10 a day or close to it, that’s a pretty decent day. My only thing I would say too and anybody listening the 10 by 10 by 1 basically means something that I came up with that’s easy to understand. It’s like 10 units sold per day at $10 profit per unit, one product, that would be 100 bucks a day and in a perfect world that’s great. If you have a product that gets higher demand then you can sell 20 units a day and you’re only making 5 bucks, I’d still probably go for a product like that. It’s all depending on what you’re goal is in mind but the 10 by 10 by 1 is just something to get started with and get your teeth sink into but 7 bucks a day per unit would be okay. [00:22:41] Scott: That’s great, 50 units a day, any way that you throw anything at that, that’s pretty good. [00:22:50] Jared: No, it’s been amazing. The first full month that we… June was the first full month we sold like 225 units which I thought was great. That was June, that was a half a month. July came, we sold almost 650 units. We were shocked and August, it looks like we probably will sell over 1000 units. Obviously the holidays are coming and the summer is slow so we’re hoping. [00:23:22] Scott: Yeah, you’re in a good place. If you’re in the summer and you’re selling that, unless you’re selling like barbecue grill, you know what I mean? [00:23:32] Jared: The funny thing is and my wife jokes about this all the time, we literally start in the worst month of the year, in July or June. We then started with products that are probably more appropriate for the fall and the winter and we’re still having this success. It’s been really exciting. [00:23:48] Scott: That is very exciting. Your next dilemma will probably be inventory. [00:23:53] Jared: Oh God, don’t get us started. Inventory. If somebody can develop a program that can help out I would really appreciate it. We’re trying so many different things. Again, with so many different SKUs it’s very, very complex as you I’m sure know to keep it all straight and to forecast demand and figure out how long it takes to get it and minimum order quantities, anyway. [00:24:15] Scott: There are some programs out there right now. I now I had Chad Reuben on. He runs a software, he developed it himself but he’s a 10 million a year business. It is more for the person who has a lot more SKUs but doing a lot of good amount of revenue. I think it’s 500, 600 bucks a month but it manages all of that for you and it projects, it predicts. There is something right now on beta that I’m looking at right now. When that does come available I’ll be able to let people know on that as well. There’s a couple other ones in the market that I haven’t tested. There are some forecasting tools that do help you with that but you still got to keep an eye on that stuff. You got be able to understand your projections and it’s hard to say unless you don’t have a full year underneath your belt to see what it did the year before until you get those full 12 months. [00:25:07] Jared: It is and honestly for us I think we’re just fortunate enough to have enough capital to basically be able to over order and be okay with what happens knowing at this point that it’s going to sell, just don’t know when, pretty tricky. [00:25:23] Scott: No it is. I guess the next question here, actually going back a little bit, you launched, how many did you actually give away in the beginning to that list of 200? [00:25:37] Jared: Zero. When we launched, like I said, we dripped out 30 or 40 emails a day for about a week to that entire list of about 200 people. We didn’t give any discounts, we didn’t give any promotions. We didn’t do anything. About 25 to 30 people pulled the trigger and bought them at full price and most of them bought multiple units which, thank you Dom that really helped us in a tremendous amount. From there, the next plan was, okay, then we are going to start doing promotions but all of a sudden sales started to pick up really from almost day one and reviews started coming in. I follow your four email sequence to a T and it really, really works. Not only does it work to get reviews and to get seller feedback but it also has saved us a few negative reviews because people leave them under the seller feedback which Amazon promptly takes away so that’s awesome. The plan was to give it away and another thing that I learned at the event was a way to almost scrap competitors’ listings looking for top reviewers. I have a bunch of the software that can spit out those lists but I was looking to…I wanted to see people in real life viewing products. I don’t know who gave me the suggestion but I ended up going through hundreds of listings, nothing for a similar product but all something that could live, if it’s a garlic press it could live in the kitchen. [00:27:19] Jared: I found about 10 or 11 top 1000 reviewers, most of them had left videos. I took their email addresses and just waited until we were ready. I then sent out, this is probably an example of what not to do but I sent out, not mass emails and I had tried to personalize it to each one of them but I sent them a block of codes. What I realized very quickly and I think it was someone in the TAS live Facebook group had said to me, you can’t use the percentage off the way you’re using it because they could actually take every one of your products. [00:27:58] Scott: Yeah, you got to be careful there on giving out codes in an email without… Definitely that’s lesson learned there. [00:28:06] Jared: Oh man, that was like so stressful so I ended up having to cancel all those promotions and saying sorry to all these people. What I ended up doing, four of the people were very kind and I ended up sending products just directly to their houses, just two of them and both of them ended up giving fantastic reviews and to have that top 500 badge or 1000 badge was pretty nice on the listings. That really helped also but other than that, we haven’t gone to any review groups. We haven’t done any giveaways except for those. At this point, I emailed you yesterday, we are looking at maybe doing a giveaway on some of the slower sellers to get them from… We’re so lucky, four of the main items, like I said there’s six parents, four of the parents are on page one for the main keyword. Now I’m thinking that maybe for the two strugglers, might be worth it to start doing some promotions. [00:29:10] Scott: You’re telling me that four of your listings, when you search for garlic press, you’ve got four of your listings showing up on page one? [00:29:16] Jared: Isn’t that crazy? [00:29:17] Scott: That is insane. [00:29:20] Jared: One of them… I woke up one Saturday morning, I think it was two weeks ago and almost cried because I went to the Amazon app and we were number one. We only stayed there for about a day but it any case, it never left page one since. [00:29:35] Scott: Wow and did you see your sales go up at all because you were one? [00:29:41] Jared: Yeah, that was a good day. [00:29:43] Scott: Okay. Here would be just again on the side as we’re talking here casually, my thought would be, how many is number one selling and how many are you currently selling? That one there may be worth it to do a giveaway just to make up the difference for a few days so you can bump yourself back to page one. [00:30:05] Jared: That could be a very, very good idea. [00:30:08] Scott: If it’s benefiting you to be there, you make more sales then I would say, if they’re selling 20 units a day and you’re selling 15, then I would give 5 away for the next five days to bump myself past the 20 so I can get that page one or maybe you do 7 a day or something like that. Even though you’re giving product away, it’s helping you rank in that number one spot and then the more that you can take over that number one spot, your sales will naturally increase as you said. Now you can hopefully secure that spot. [00:30:37] Jared: I have to tell you, another thing we spent a lot of time at the event was talking about PPC. I remember Chris spent a lot of time. A lot of people got a lot out of that and I especially did. One of the things that I learned there was you got to bully your way past everybody else and we went super aggressive with PPC from as soon as we had a few different reviews or maybe it was 2 or 3 per listing, we went hard. In the beginning it was easy because I think the competition didn’t know… It must not be super competitive until we started doing it. The cost per click was doubled a week later because everybody else started jumping in, raising their bids but another week went by and everybody sort of calmed down and we’re still able to get placed on page one for most of them. We shut it off for any of the ones that are naturally on page one, we did shut of the main keyword because no need to… We could have kept it but I didn’t want to take the spot of one that wasn’t on page one off my own listings. [00:31:49] Scott: Here would be my other recommendation on that though. If you’re, let’s say you’re on page one… I had a guy ask me how to do this by the way. Let’s say you’re on page one, you’re ranking organically, I would want to advertise there to be on the right had side too because now I got two spots for the same product on the same page. [00:32:05] Jared: You’re exactly right and we were doing that until I realized that some of our listings weren’t being advertised in the first page because the other ones were taking its place. I wanted to grab the other from page two, get it to page one and then we took off the ones that were natural. [00:32:55] Jared: That’s a brilliant thing to say and I agree 100%. I thought we were spending probably way too much. Looking back now, it’s funny. One of the things that I really tried not to focus on was the money. I tried to just say we have to spend what we have to get on to page one. Just sort of getting ready to talk to you today, I was like, “Let me take a look.” We had $23,000 worth of sale since we started, or a hair under it, and we only spent $2,500 on PPC. Honestly we were like, “Just do whatever you have to do to stay on page one.” It really, really worked. If you looked individually, obviously we had some ACOS that were over 200 or 300 which seemed crazy but we just kept letting it ride and it’s really responsible for getting us to page one. [00:33:47] Scott: I like that, I like that a lot. Cool man, so you’re in a good spot. I didn’t realize that that you’ve got multiple listings on page one. We would give our right arm for that, not necessarily but I’m close to it. That’s some good stuff man, that’s awesome. I’m really happy that that’s worked out that way as well. Now, moving forward, you launched without just having like one product per say. You’ve got five parents, similar products just different versions and then you’ve got variations under that. Are there any plans right now to do anything other than what you’re doing and just keep growing them or are you looking to add another product to this? Are you looking to possibly take what you already have and move it over on maybe you’re on channel? What’s your next move? I know you’re early into it but what’s your thought process? [00:34:37] Jared: Well, because we like pain and because we obviously didn’t learn our lesson the first time. My wife has already put into production six new parents with children underneath it so we should have those in early October. We’re looking to be super aggressive with adding styles. I think to win the game that we’re in we need lots of different products because people definitely buy multiples. The more we have I think the more we’re going to sell. [00:35:11] Jared: That’s number one, number two, essentially my wife is now starting, she’s networking, she’s talking to a lot of people about how to make offline sales and not necessarily in retail but there’s a lot of different ways that my wife has found you can go to whether… Not necessarily a flea market, just lots of different places whether it’s somebody’s home or whether it’s at like something that’s an organized event. She’s going to try to do that in the fall. She’s going to try and bring the products to all these different various places and see if we can get some offline sales. In terms of a Shopify site or something like that, I am not so sure that she or I, that we’re ready for that, probably not until after the holidays. [00:35:56] Scott: Yeah, I think that’s a good strategy though. Again, it’s something I believe in more so now than ever. I personally know that building out a full out brand and then that you can control that traffic. Right now, it’s kind of like it’s funny because Scott Thomas, another guy in the class, he talks about it as the Amazon crack. It’s kind of like when you get on that drug of Amazon, of it becoming like this, it gets to where you get laxed on the other stuff and then you can get caught because God forbid something happened to your account right now, that would be devastating, maybe not financially fully because you’re doing okay but the same breadth, it’s something you wouldn’t want to face. That’s why I’m definitely a believer in building out that external channel as soon as possible when you feel as though you can do it and give it the energy that it’s going to need but again, if you’re already building stuff out and you just want to secure that you’re young in the game so you still got the time but I would definitely put that in part of my plan moving forward because I think you can do well in it. I really, really do. That would be my take on that. [00:37:14] Jared: Yep, definitely something in the plans. I think we’re just going to try and get through the holiday and just see where we are. [00:37:22] Scott: I know, absolutely. Hey, I want to thank you for coming on Jared. This has been awesome and I really had a great time hanging out with you as well and hearing, at that time before you even had your stuff launched just like how excited you were, what you were planning to do and now, to see it all kind of happen and then to have you say that the event was very helpful, that’s also rewarding for us because obviously that’s what we’re trying to do this for. Is there anything that you would like to leave anyone that is thinking about even just getting started, whether it’s Amazon or just getting started online at all, is there any bits of advice you’d like to give them? [00:38:07] Jared: Just take action, just do it. [00:38:10] Scott: No, I mean it’s with anything. If you don’t take action, you can’t get any type of results whether it’s good or bad. [00:38:15] Jared: If I tell you how many times we’ll have a bad day or something will go wrong and it always will, I just keep saying to myself, “Just keep moving forward. Just keep going.” It really helps, so just do it. [00:38:29] Scott: It’s like kind of the thing I always say too. It’s like we can consume but we’ve got to do, right so we have to. Like you said, you’re going to have those days that maybe sales are down or maybe that month are down, you just got to keep moving forward and keep figuring out what you can try next within that to get things moving again. [00:38:49] Jared: By the way stop paying attention to all the people that are saying Amazon is dead. [00:38:54] Jared: Because I promise you it’s not. [00:38:56] Scott: That’s a great point as well. Hey, I want to thank you once again Jared. This has been awesome and I’m sure a lot of people are going to have some good takeaways but also just be inspired and motivated to get out there and do that, to take action. Want to thank you once again. Keep me posted on all of your results and the ups and downs, I want to hear it all. Definitely keep us posted and I want to thank you once again for coming on the show. [00:39:21] Jared: Thank you so much Scott. I really appreciate everything. [00:39:22] Scott: Yeah, no problem man, good luck. [00:39:24] Jared: Okay, see you soon. [00:39:26] Scott: All right, so there you go. Great interview, great conversation that I had with Jared and I want to thank him once again and I’m so happy for him. I just want to remind you that by listening to this, this isn’t just here to motivate you which I hope it does that too but it isn’t just to do that, it’s to also show you and be inspired that if you’re feeling confused, if you’re feeling overwhelmed, it’s normal but sometimes you just have to go back to basics and start from square one and then just keep moving forward. Understand this, there’s not one story that is going to be the same. Your story is going to be different than mine, than Jared’s, than anyone else’s. Understand that this is a process that you’re going to go through and you’re going to learn through that process but you’re only going to learn once you start to take action and do something and it can be the smallest thing. Again, I just want to remind you that it takes work. It takes being frustrated. It takes being overwhelmed. It does so just embrace it and understand that it’s there and it’s there for a reason and you’re going to learn through this process. Let me also remind you, you guys heard me talk a little bit about it but we do a live in-person event where we actually get people in the same room together. We had 10 hot seats the last time, we had 30 attendees. This time it will be very similar so very limited but people like Jared will be there. You’re able to network with those people, you’re able to learn from those people whether it’s during the session or at night at the cocktail lounge, whatever it is. You’re able to learn through this process by getting in-person with people and that’s what Jared did and he’s so glad that he did because he came there very overwhelmed and then he left there with a plan and he took action. [00:41:14] Scott: If you’re interested at all in attending one of our live events depending on when you’re listening to this, head over to theamazingseller.com/live and you can get all the details over there. You can sign up to an early registration list where you can be notified when we do announce this. I will just say depending on when you’re listening to this, we are going to be having one really, really soon so you’re definitely going to want to hop on that. Definitely go do that, theamazingseller.com/live. All right guys, that’s it, that’s going to wrap up this episode. Remember, I’m here for you, I believe in you and I’m rooting for you but you have to, you have to… Come on say it with me, say it loud, say it proud, “Take action.” Have an awesome amazing day and I’ll see you right back here on the next episode. www.TheAmazingSeller.com/LIVE – register for info about the next live event. First off I want to thank you for this whole podcast. I understood the concept of what Amazon was about as a business, and I had even done some small-time selling on eBay when it first came about and I was just a kid in kigh school; but Amazon FBA and Alibaba and all of that just sounded so out of reach to me like a whole different beast. But when I found your podcast, and when I started talking with the people I knew who were making it work first-hand, I HAD to get on board. Thanks you for everything that you do, take action and keep it moving! Great podcast. Good follow through with Jarrett. I was kind of discouraged but now I am ready to go back to the grind again. To take action again. Love this episode. Admire your enthusiasm Scott!!! I just read your comments. I wanted to give up so many times. I still get super frustrated and have bad days but keep telling myself that it’s worth it. And it is!! I’m going to come close to 30k in sept. I have literally only been selling since mid June!!! Just focus on what’s really important. Turn the rest off! !